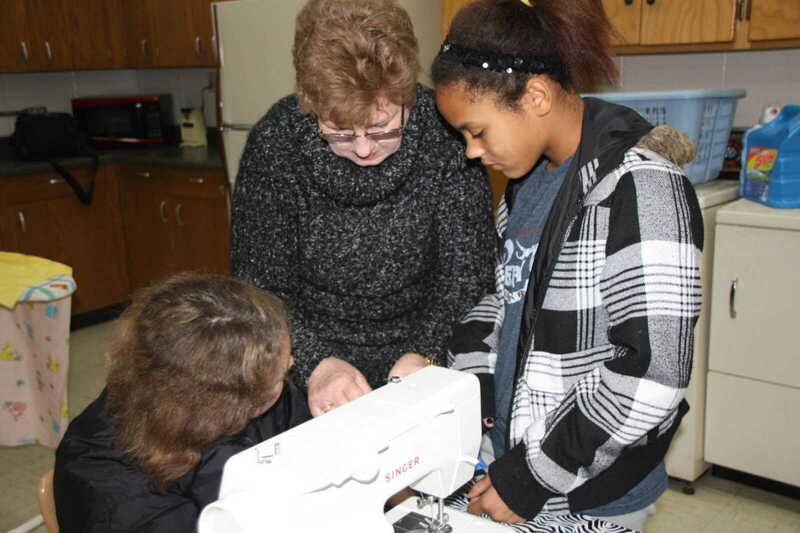 Students in Sherry Stickles' Family and Consumer Science (FACS) class at Dexter's T.S. 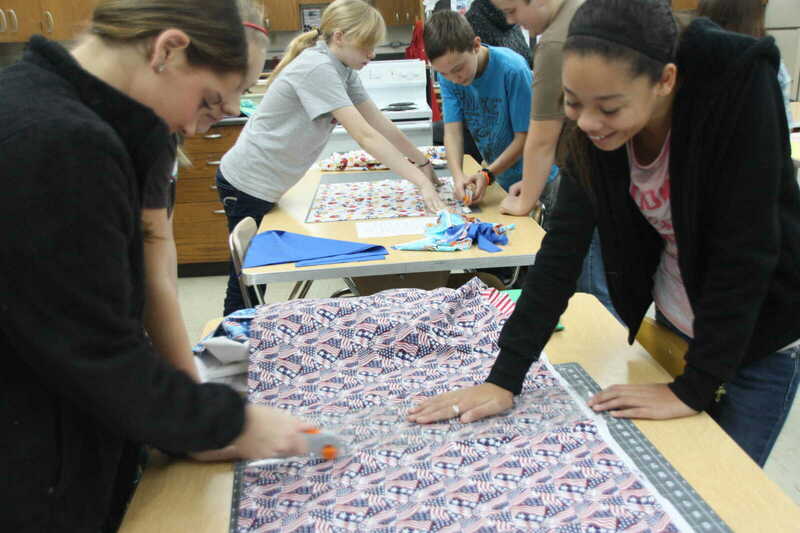 Hill Middle School participated in a special Christmas project during the week before Christmas break. 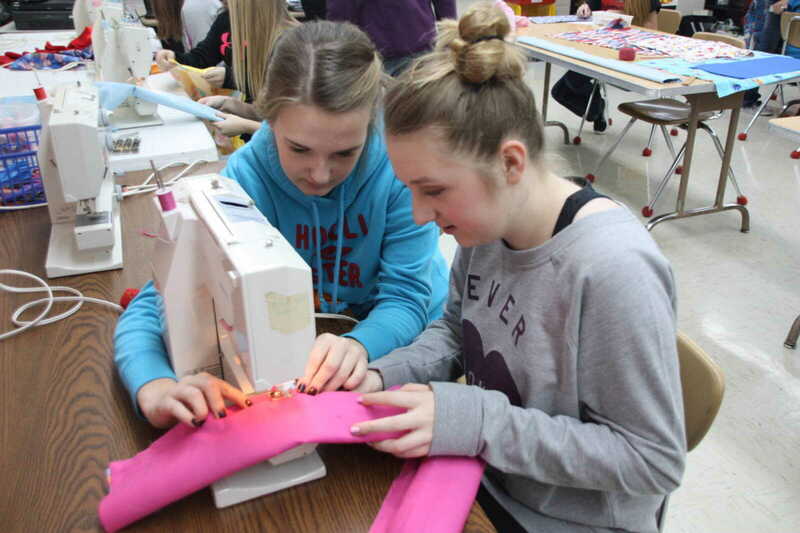 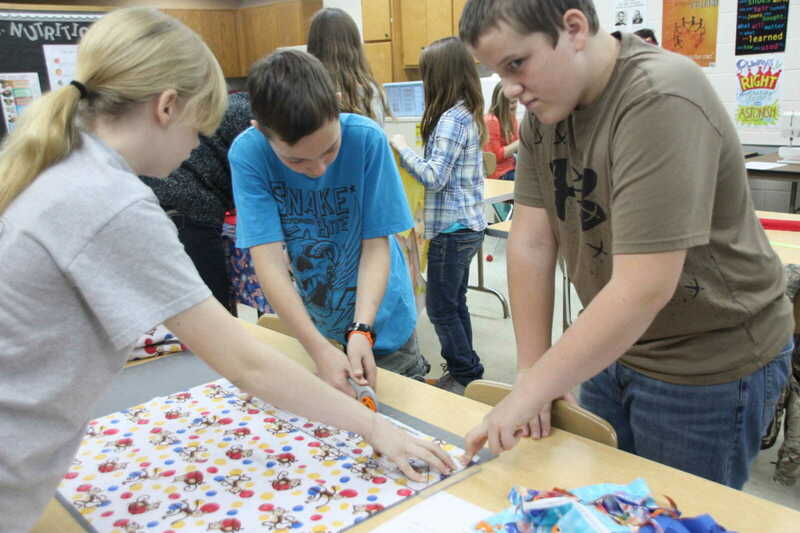 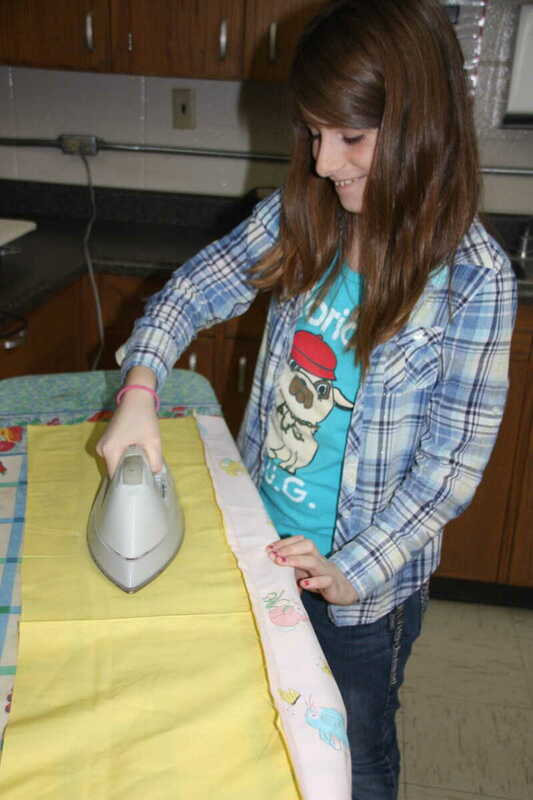 Through donations of fabric from parents, the students sewed dozens upon dozens of pillow cases. 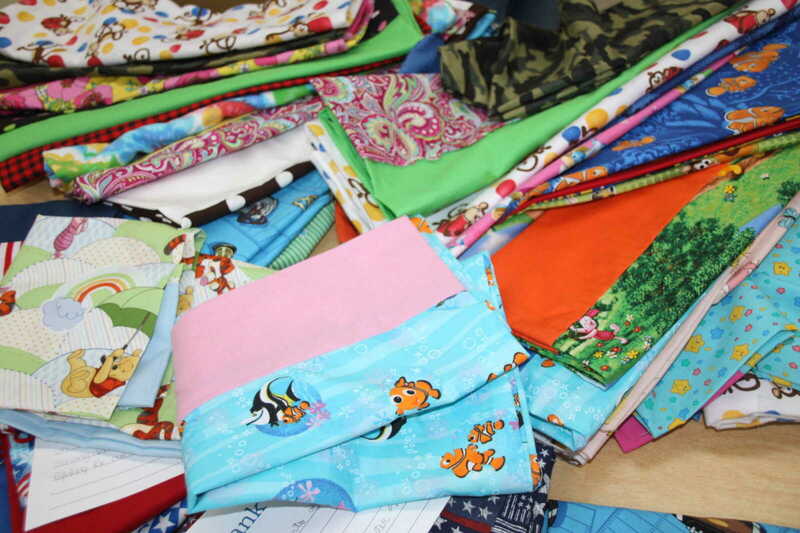 The cases will be delivered to children at Children's Hospital in St. Louis, The Stoddard County Children's Home and to resident patients at the John Pershing Veterans Center in Poplar Bluff. 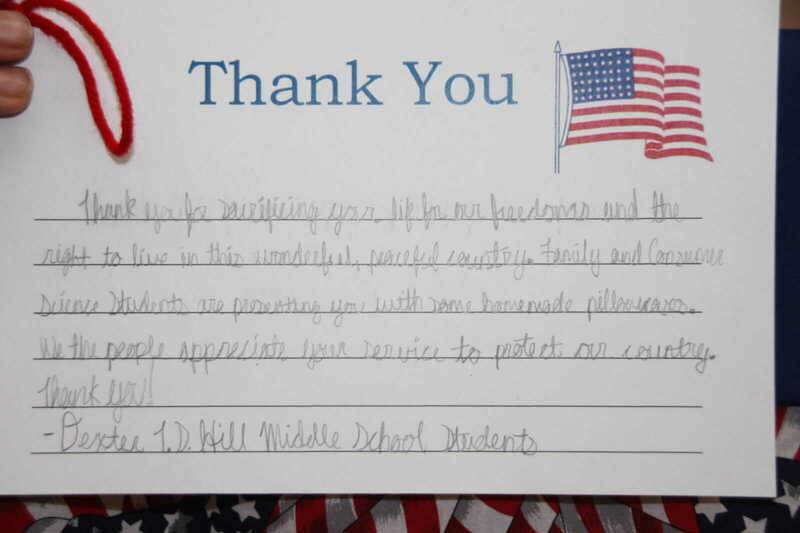 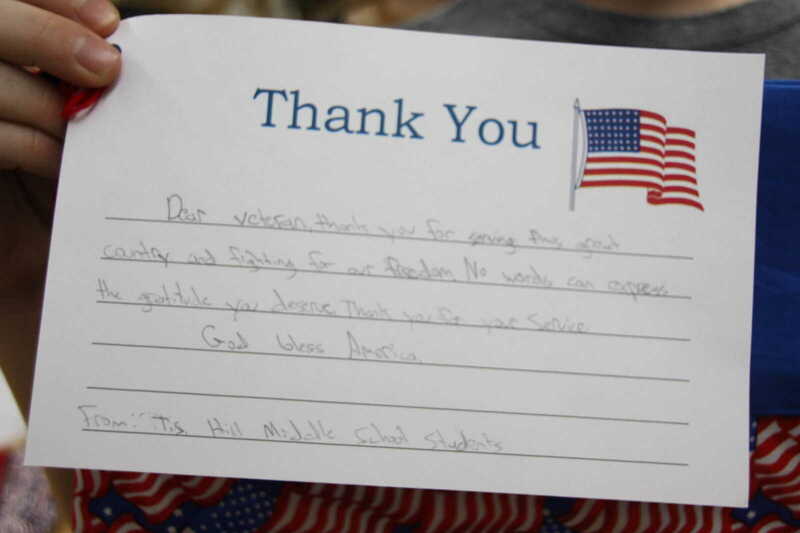 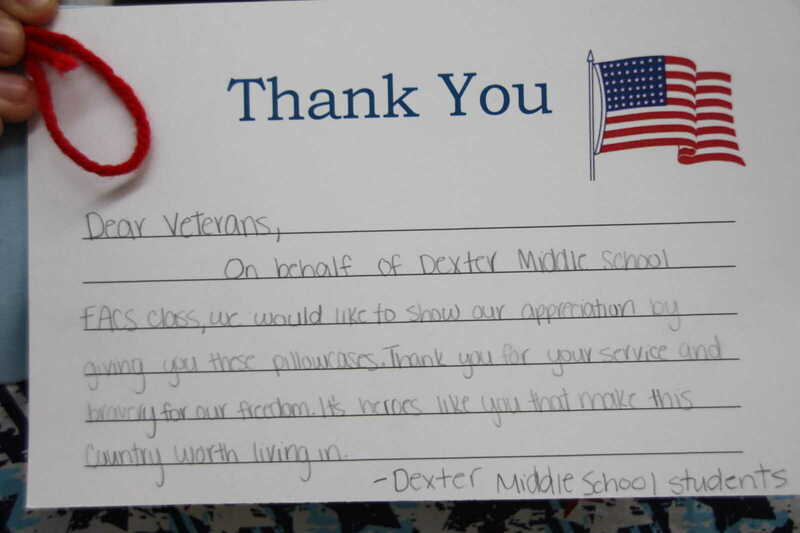 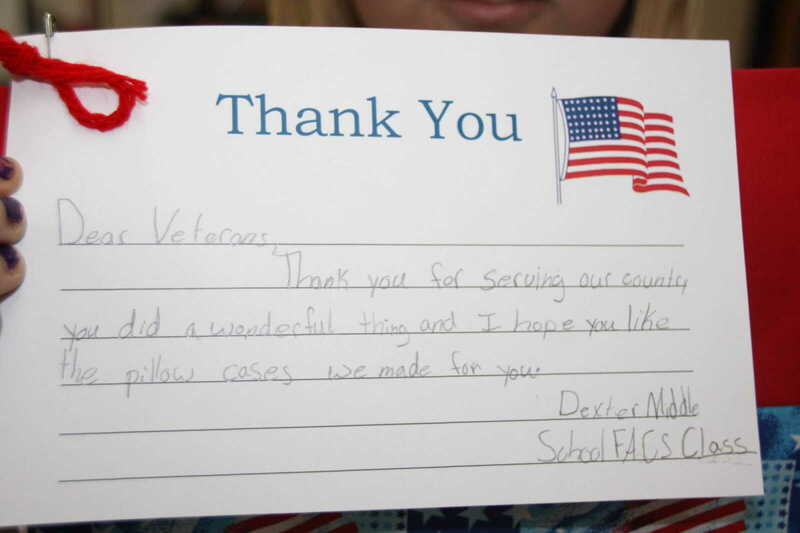 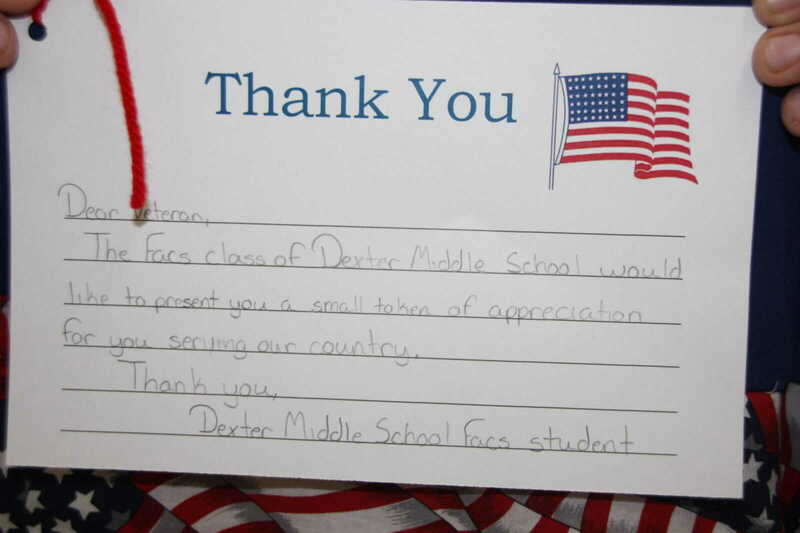 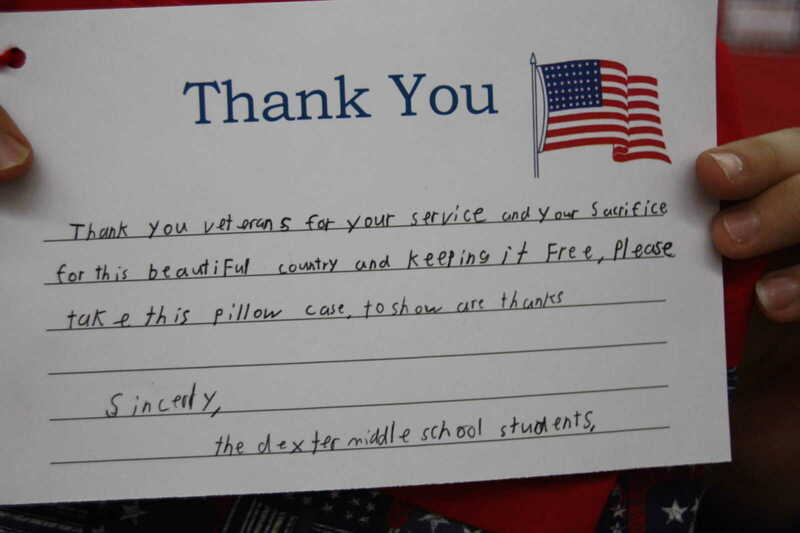 Students also authored noted to the veterans who will be receiving the pillow cases.